After processing a software order, Zebra Software Distribution Services emails an activation ID and software download instructions to the customer contact provided with the order. 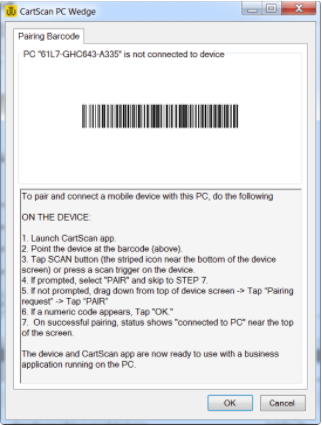 The instructions apply to both CartScanPCWedge (for the PC) and the CartScan app for the Zebra Android device. NOTE: Target devices must meet the minimum system requirements. Zebra recommends that an IT associate perform first-time setup in advance. Follow the download instructions emailed by the Zebra Software Distribution Services. Locate and unzip the download package, which includes a setup.exe installer. 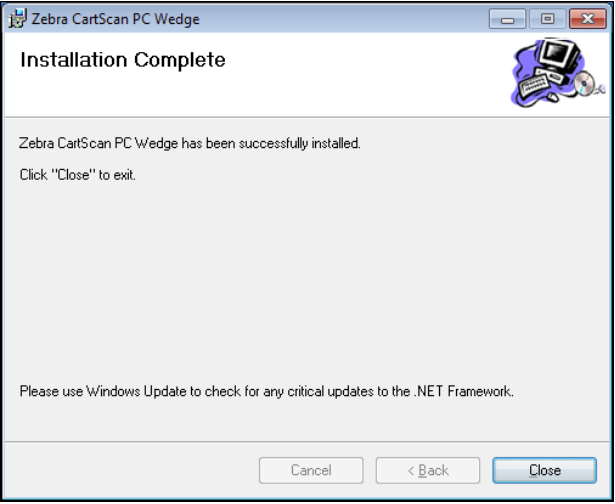 Launch setup.exe to install CartScanPCWedge on a supported PC (thin clients NOT supported). Click Next to proceed to the "Select Installation Folder" screen. Specify the installation folder or click Browse and navigate to the desired folder. Optional: Select "Disk Cost..." to view the drives onto which CartScanPCWedge can be installed, along with available and required storage for each. Make desired selections and click "OK" to exit Disk Cost screen. 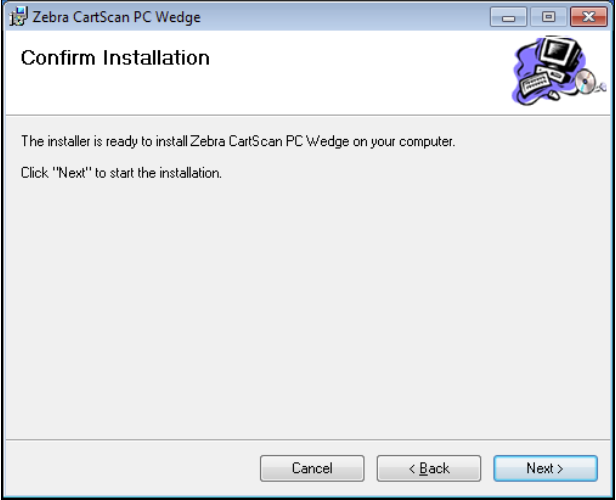 Specify for whom to install ZebraCartScanPCWedge ("Everyone" or "Just me"). Upon successful installation, the "Installation Complete" screen appears. 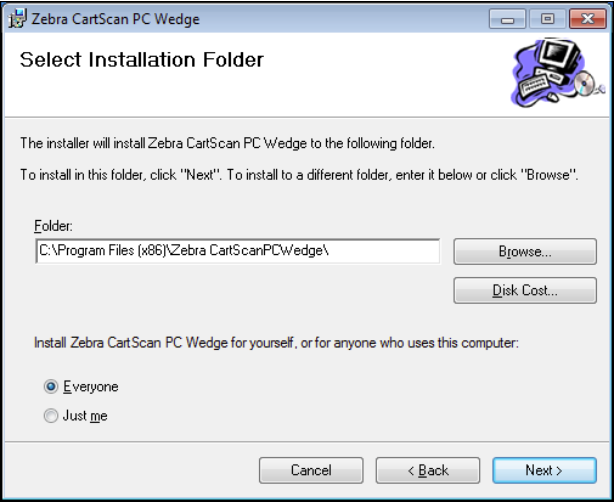 Instructions for downloading and installing CartScan are emailed to the customer contact provided to Zebra Software Distribution Services along with the original software order. 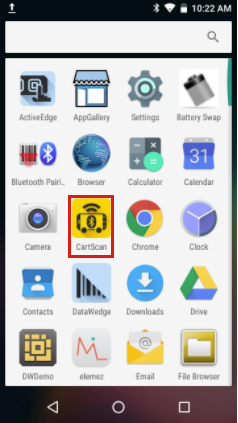 CartScan for Android is installed on the device using standard installation procedures. Before using the CartScan solution for the first time, the PC and mobile device must be known to each other. Following the initial software installation and Bluetooth activation, the mobile device initiates a Bluetooth pairing request and tries to connect to the PC. Detailed instructions are provided below. In Windows Bluetooth settings, select "enable Bluetooth" and "allow Bluetooth mobile devices to connect" options. If the PC does not have built-in Bluetooth, insert a Bluetooth dongle and follow the setup instructions that came with it. 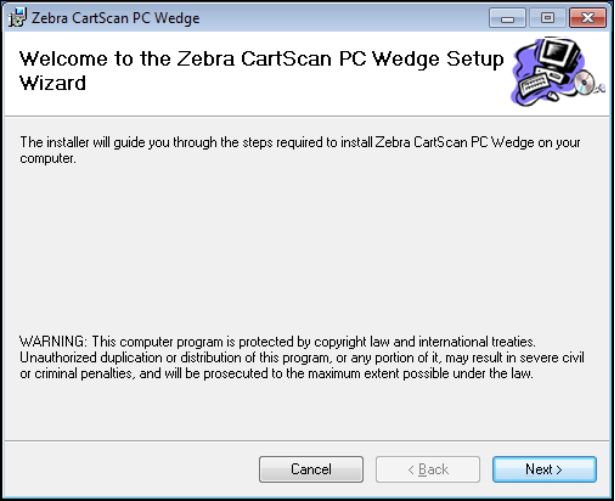 Run the CartScanPCWedge shortcut from the desktop or click Start > All Programs > Zebra CartScan PC Wedge > CartScanPCwedge. Instructions appear for connecting the mobile device, including a barcode to scan. NOTE: For best results, remove monitor privacy screen before attempting to scan a barcode. 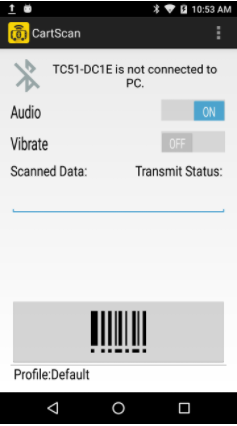 Use the CartScan app to scan the barcode displayed on the PC by pressing the large scan button in the app (or press one of the device's scan triggers). CartScan is now ready to use. Go to User Guide. 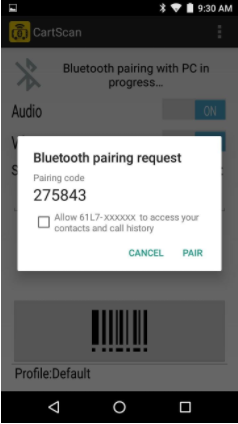 Bluetooth pairing dialog appears only if mobile device was not previously paired with that PC. Allowing access to contacts and call history (checkbox) is not required for CartScan. 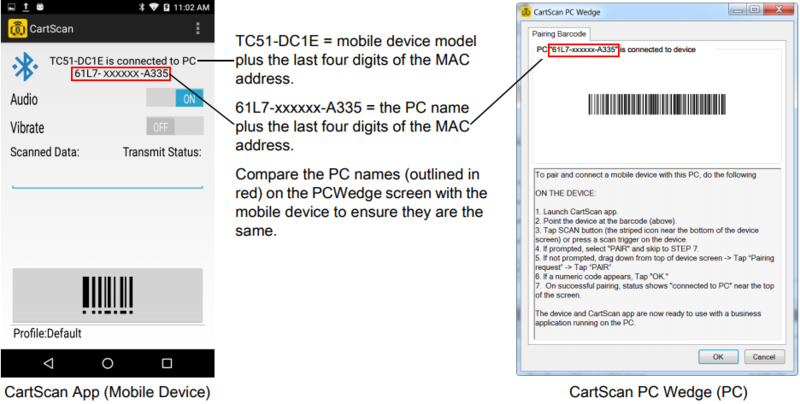 Multiple mobile devices can be paired via Bluetooth to an individual PC, but only one mobile device can connect to CartScanPCWedge at a time. Zebra strongly recommends the following best practices for a seamless user experience. IMPORTANT: Do not modify CartScan Profile settings from within DataWedge on the mobile device. Doing so will result in unpredictable CartScan behavior. Analyze end-user scanning workflows and create the necessary CartScan Profile(s) in advance. See Settings page for details. Before deployment, test CartScan Profile(s) with the intended line-of-business application(s) to ensure compatibility and desired behavior. Conduct workflow testing with an end-user representative whenever possible. Create the end-user training materials and guidelines for proper use of CartScan, its features and functions. This minimizes errors when putting CartScan into use. Always deploy workflow Profiles along with the CartScan app when staging target mobile devices. Pair each mobile device to its intended end-user workstation before handing devices off to end users.